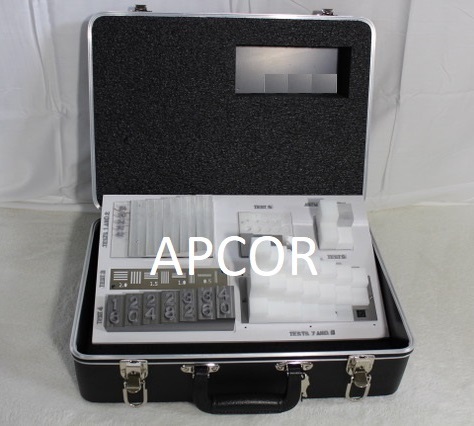 APCOR Laboratories ASTM F792-HP test object case is used to calibrate and evaluate performance levels of X-ray screening systems for the human perception based parameters of the new f792-17e1 standard. To meet the need for testing sophisticated X-ray systems, the new ASTM F792-HP test object is manufactured to strictly comply with the FAA, TSA, Transport Canada, and DHS requirements. We also have the previous versions original ASTM stepwedges if required, and can build larger kits for vehicle or container screening compliance. Please contact us or call us at 888.963.8555 for more detailed information.